It is already known that the 2017 Formula One car is generally faster than its 2016 version thanks to its ability to corner at a higher speed. But by how much is it faster? Watch the video and find out. 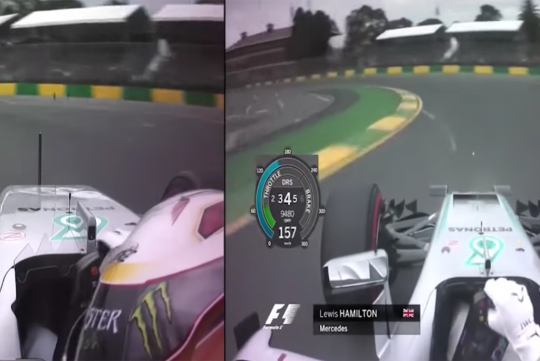 With the 2017 regulations allowing teams to increase the amount of downforce produced as compared to its last year's car, we can see that the increased levels of downforce can impact straight line speed as seen in this split screen video comparison between Lewis' 2017 and 2016 pole lap. While the 2017 car is naturally faster overall, the newer car is not much faster on the straights even though its corner exit speeds might be higher.